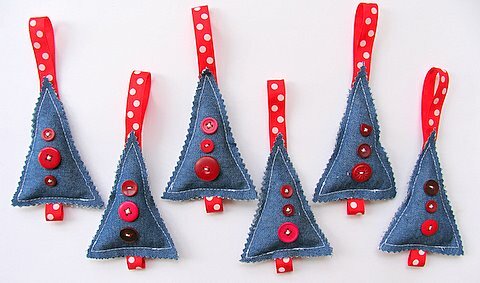 Aren't these the sweetest little christmas trees? I love how they look in denim, but you could use any old shirts you have lying around (wouldn't plaid be great?). Get the details at One Crafty Mumma.